Desh Bhagat University, among best private universities in Punjab (NIRF Ranking, MHRD Govt. of India) celebrated Rakhi in a unique style. The students of different faculties along with their teachers visited slum area of Amloh. 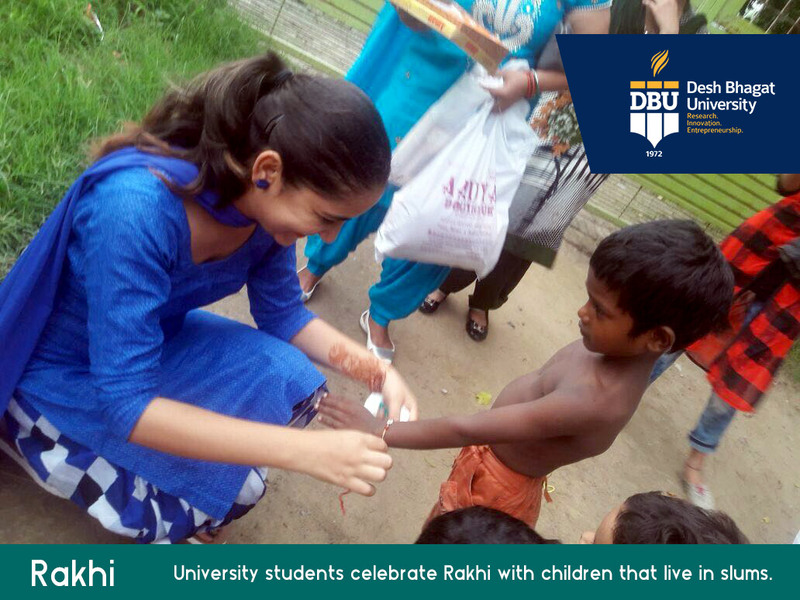 They tied Rakhi to poor children to celebrate the holy festival of Raksha Bandhan and distributed sweets among them. This goodwill gesture was to inculcate the spirit of helping the poor on festivals among the students and making them feel an integral part of the society. 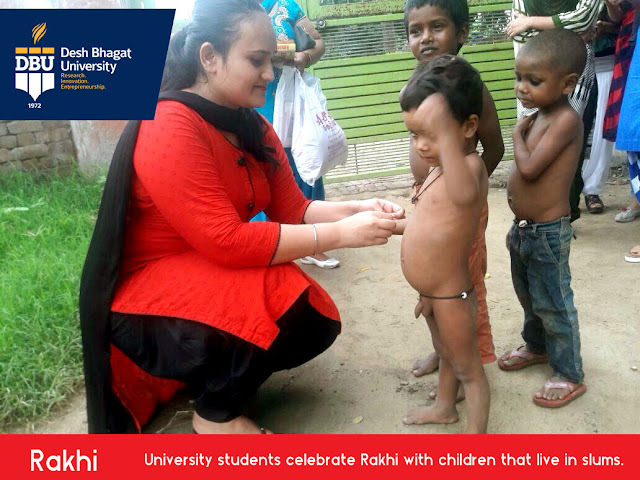 During the drive, students also motivated others to help the needy people. While giving details, Vice Chancellor Dr. Virinder Singh stated that students and their teachers visited the slum areas to celebrate the festival, make the natives aware about cleanliness and distributed sweets. They spent more than three hours with them to make them feel good, he added. University Chancellor Dr. Zora Singh and Pro Chancellor Dr. Tajinder Kaur appreciated the students for the initiative and said that these students have set an example for others, which is a healthy sign for the future. 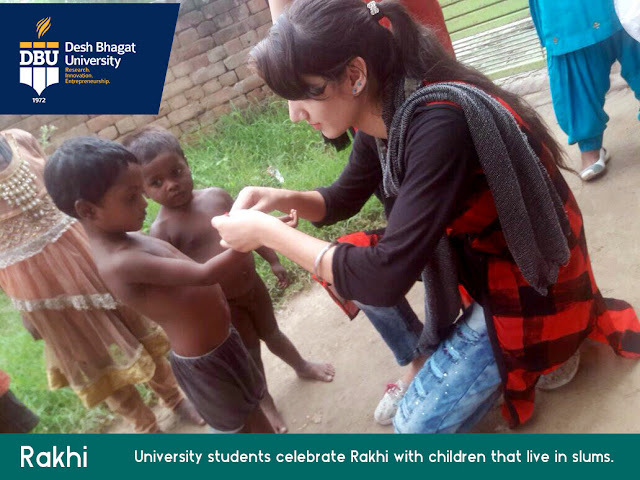 The initiative of the students was appreciated by each and everyone. 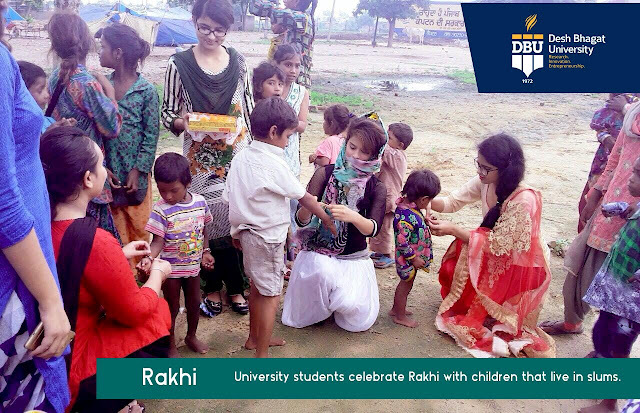 Many social organizations also lauded the step taken by the university students. 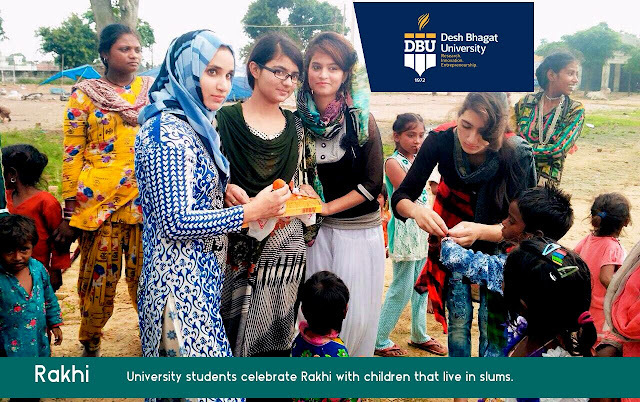 It is worth mentioning that Desh Bhagat University among best private universities in Punjab (NIRF Ranking, MHRD Govt. of India) is regularly organizing such kind of programs to bring out a social revolution for the uplift of downtrodden section of the society.